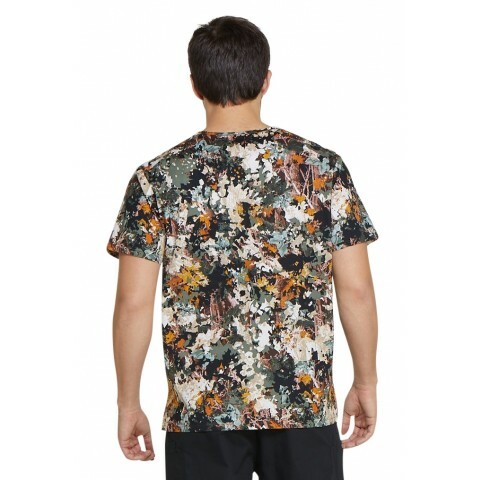 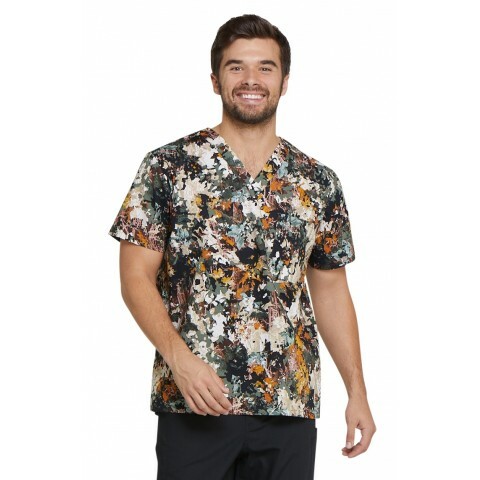 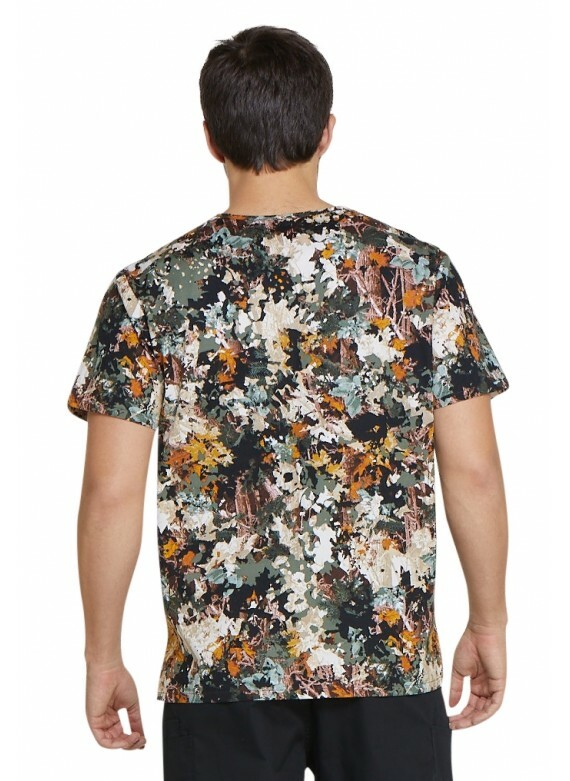 This Men's Fall Print DK725 Scrub Top is one of Dickies latest and most popular patterned scrub top options for male healthcare professionals. 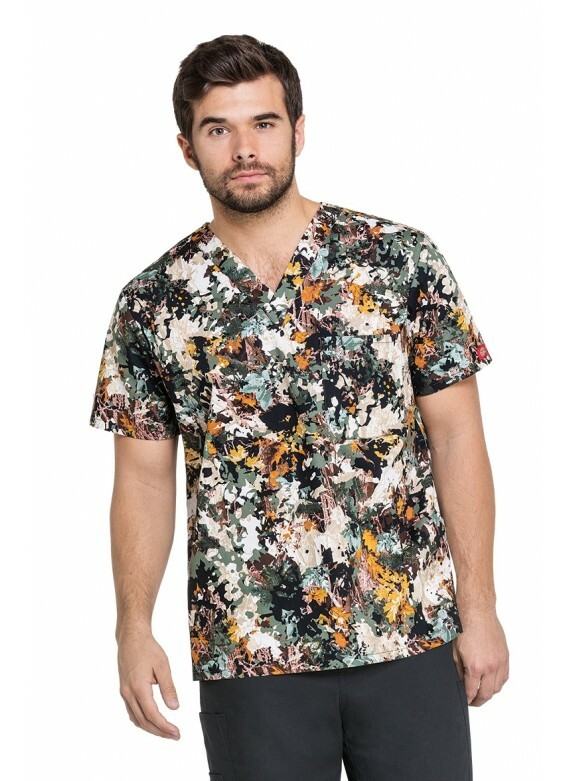 Crafted from a premium quality cotton fabric, this fall scrub top is supremely comfortable, and practical, as well. 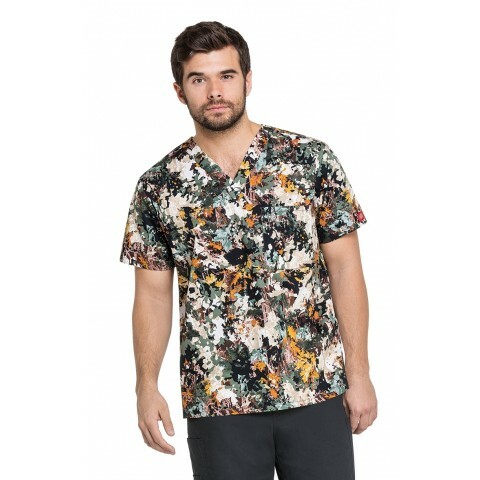 It's also imbued with an inherent stretch which offers male medical professionals the necessary freedom of movement to complete tasks at a most efficient pace. 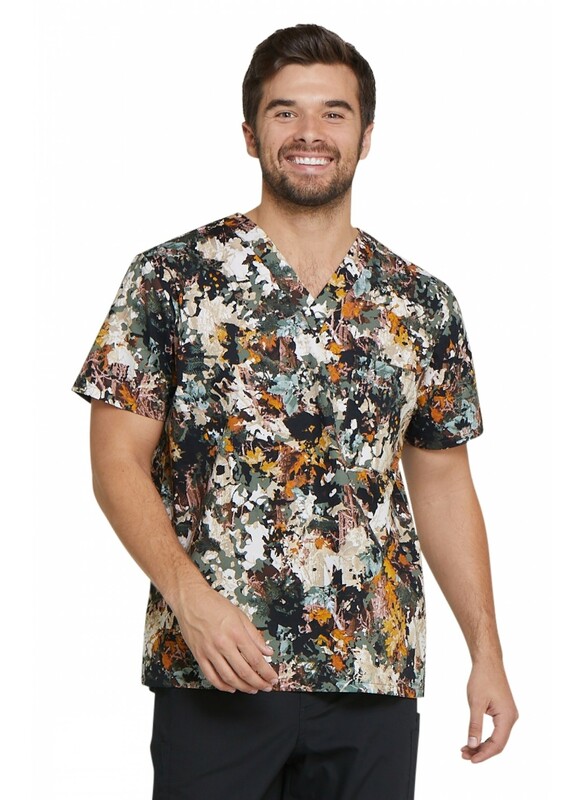 If you're looking for a bold, vibrant and relatively cheap fall scrub top that's comfy and practical, this piece from Dickies collection is a top choice.